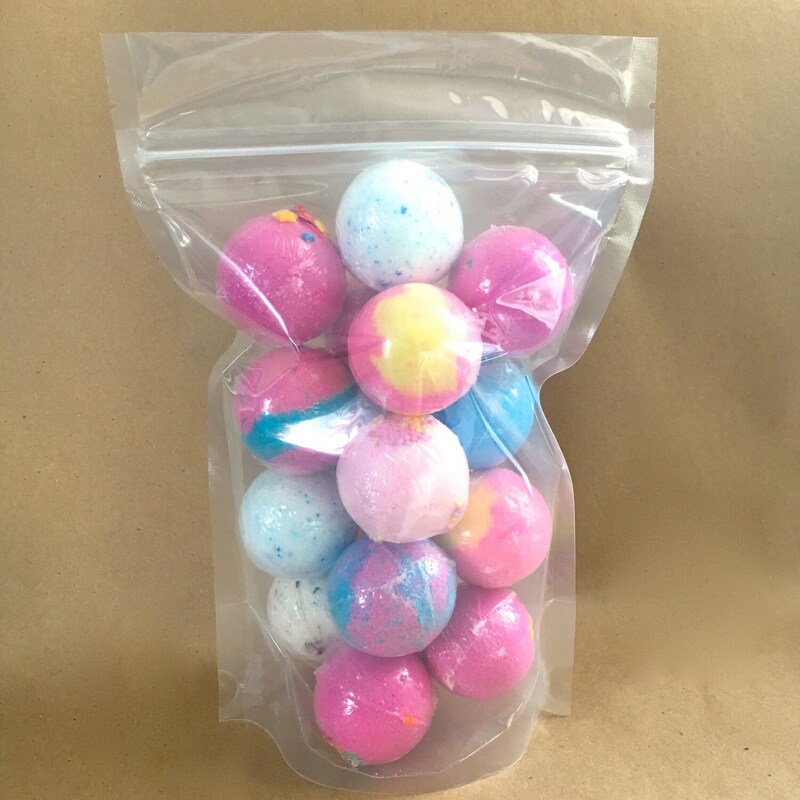 These stand up pouches are great for products like bath salt, bomb dust, bath tea, bath bomb packs etc. You can fit a range of product weight in them depending on the density of the product. It can be anywhere from 8 oz to 24 oz depending on what you are putting in them and how much air space it takes. You can impulse seal these if your sealer is turned up. There is a notch to tear the seal off and expose the zipper after it's been opened. 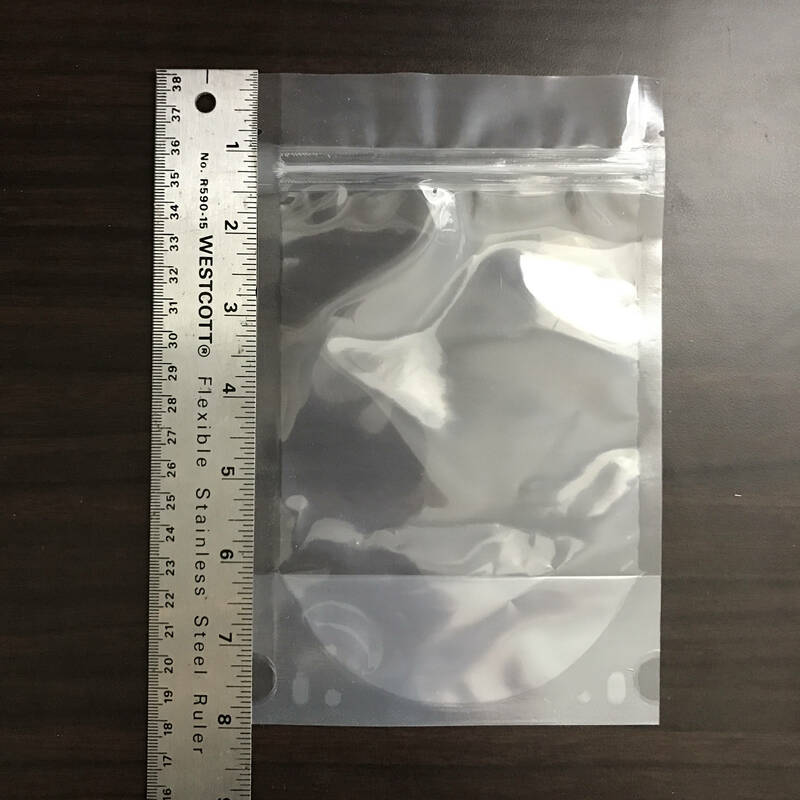 These are thick, heavy duty bags, 4mil, so it needs a longer seal than a shrink bag does, but they are very sturdy! 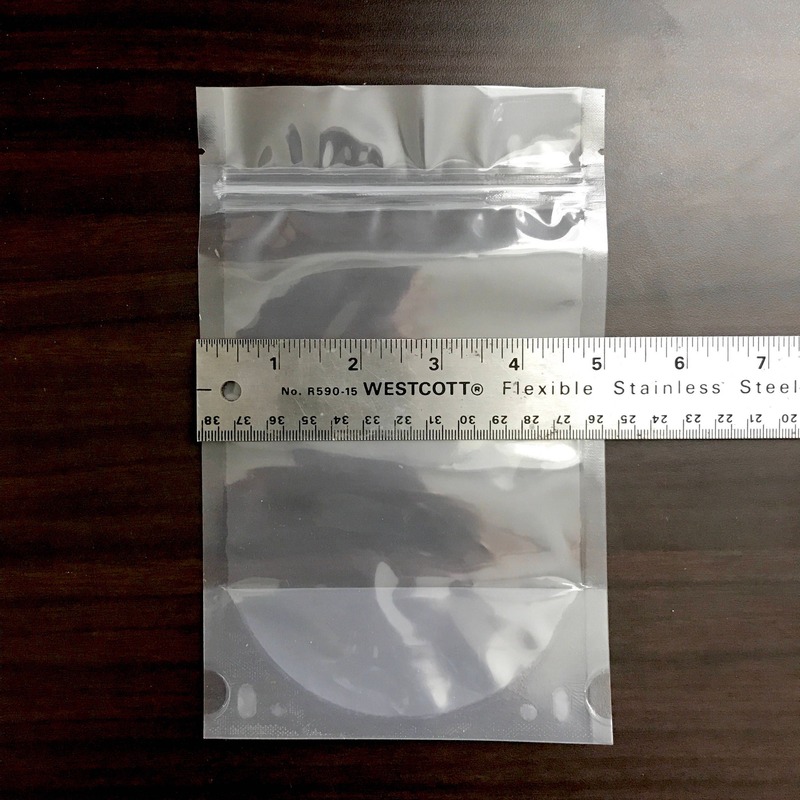 *Outer measurement: 5" x 8" x 3.5"
*Inner measurement 4 3/8"x 6 1/4" x 2 3/4"
This is for a package of 25- 5x8". 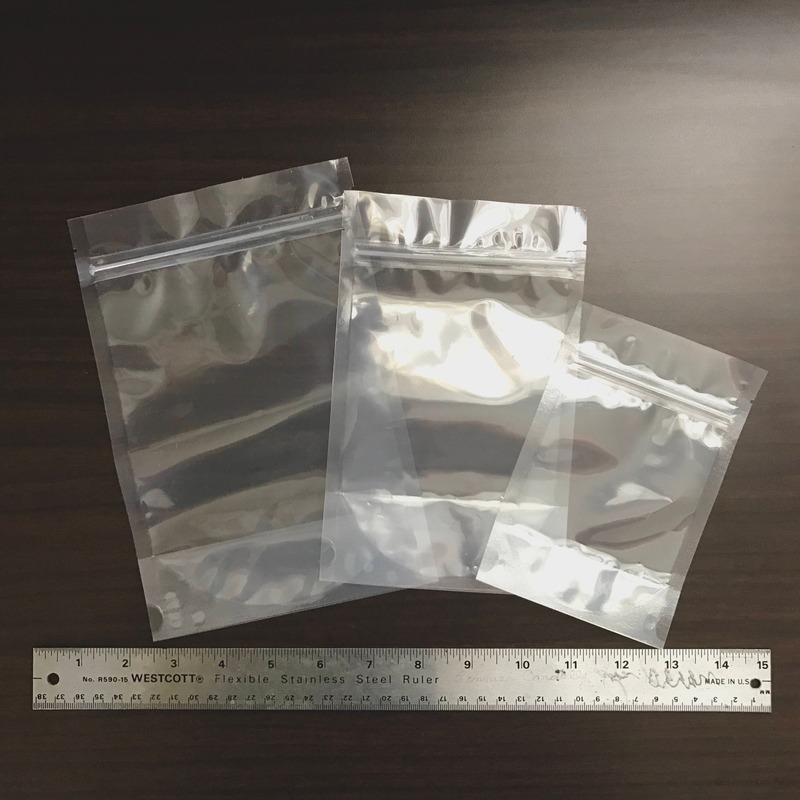 We carry clear stand up bags in 4 sizes, in quantities of 25 or 100: Mini 3x5", Small: 4"x6", Medium: 5x8" & Large: 6x9". *Other products in pictures are for example or comparison purposes only. Wonderful quality and perfect for my Faerie fizzies! Good for packaging for what I need. Just what I needed for packaging mini bath bombs. Thank you.